Mike Ullery | Miami Valley Today Race teams line up at the entrance to the Miami Valley Centre Mall on Thursday as they prepare to bring their cars inside the mall for the 2019 edition of Race Cars & Future Stars Expo beginning today and running through Sunday. More than 80 vehicles are on display. Race teams line up at the entrance to the Miami Valley Centre Mall on Thursday as they prepare to bring their cars inside the mall for the 2019 edition of Race Cars & Future Stars Expo beginning today and running through Sunday. More than 80 vehicles are on display. https://www.dailycall.com/wp-content/uploads/sites/30/2019/03/web1_032119mju_mall_racecarsfuturestars.jpgMike Ullery | Miami Valley Today Race teams line up at the entrance to the Miami Valley Centre Mall on Thursday as they prepare to bring their cars inside the mall for the 2019 edition of Race Cars & Future Stars Expo beginning today and running through Sunday. 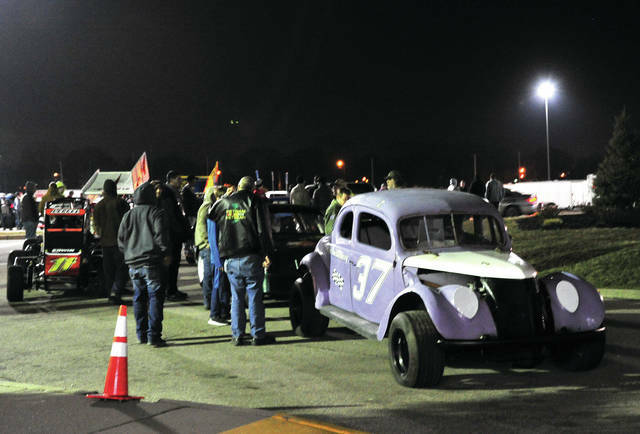 More than 80 vehicles are on display.